Understanding idioms is an intergral part of language fluency. 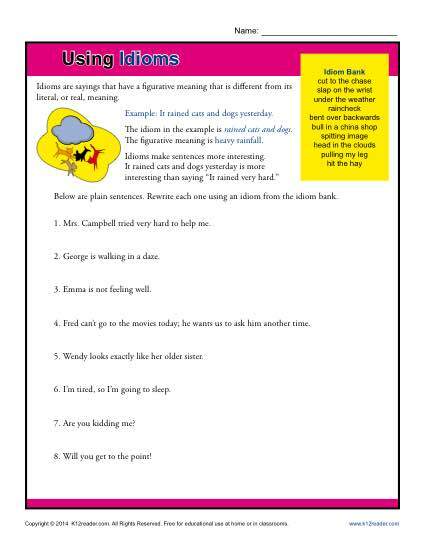 This worksheet asks your student to use idioms in a word bank to complete sentences. Great for practicing Common Core Standards for Lanaguage for 4th and 5th grades, other grades may also use it as needed.